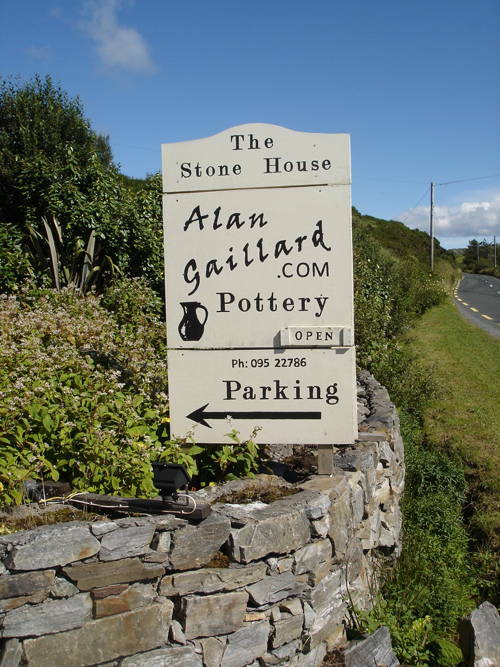 Visitors are most welcome to visit Alan at the studio situated only 2 kms from Clifden on the main N59 road to Westport, where you can also see the feltwork landscapes by Alan’s wife Sandra. Opening times approximately 10:00-18:00 (19:00 in Summer) daily and sometimes on Sunday afternoons. However you can also phone for an appointment. If you would like to comment, or order pottery, or have us reserve some specific items for you to collect when you call to the Studio, why not drop us a note here. Orders for non-stock items should ideally be made 6-8 weeks earlier. “Dreaming in Dijon“ Available on Kindle (free to Kindle members) and on Amazon (book or download). Jim is a wonderfully creative potter making mainly reduction and saltglazed one-off pieces. 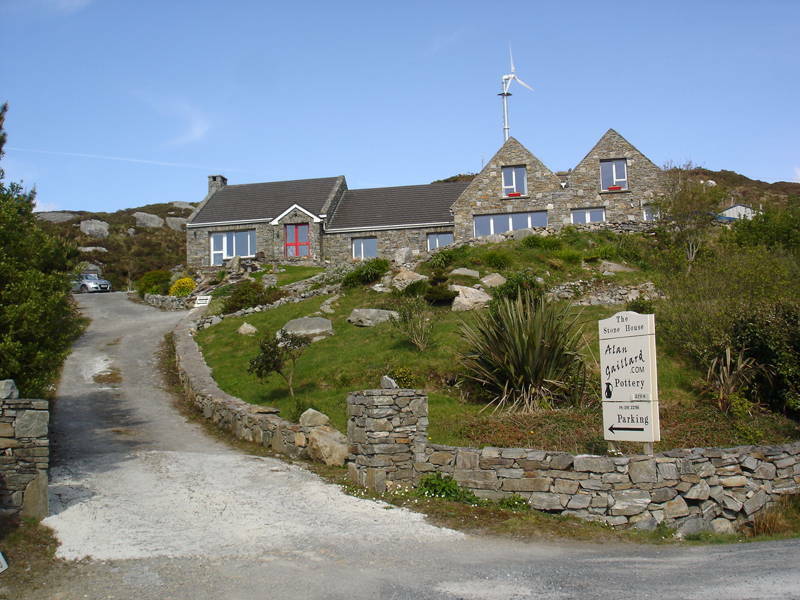 Well worth a visit if you are looking for celtic handmade jewellery.